Companies need a 360-degree view of their product data. Today, many companies do not have a consistent and transparent process established in their Product Information Supply Chain. The internal benefits of establishing this process are often underestimated. 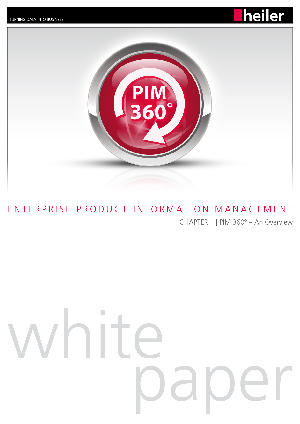 In this white paper you will find out just what exactly PIM 360° means and how it relates to your business.